Das Erste ("The First"), or Erstes Deutsches Fernsehen ("First German Television"), is the principal publicly ownedtelevision channel in Germany. It is a joint production of Germany's regional public broadcasters acting through, and coordinated by, the ARD consortium, with the exception of Deutsche Welle. The channel was started officially on 25 December 1952 as NWDR-Fernsehen and renamed to Deutsches Fernsehen in 1954. 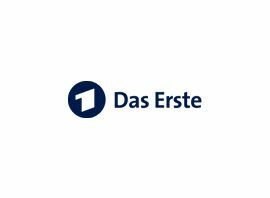 Since 1996, the official brand is Das Erste, the full name Erstes Deutsches Fernsehen is only used occasionally and not part of the station's corporate identity. In colloquial speech, the station is usually called Erstes Programm ("First Channel"), or by its metonym, ARD.